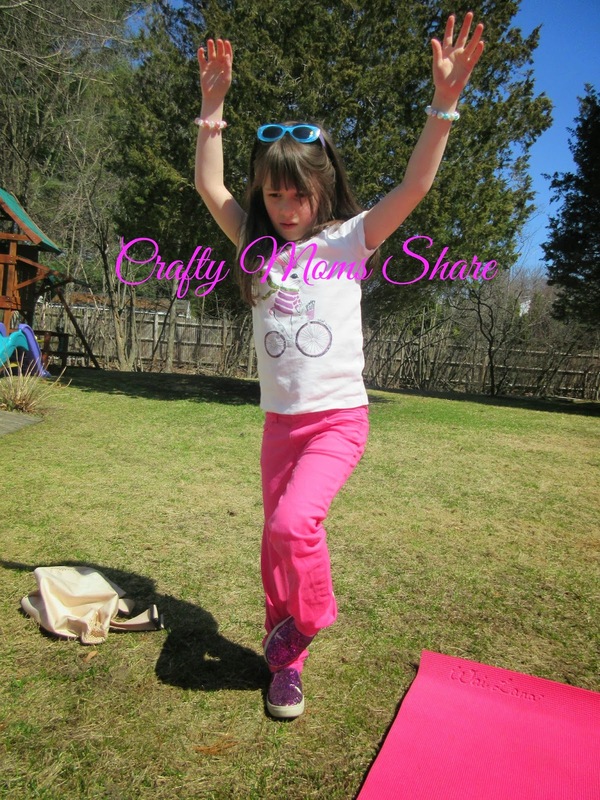 Make sure you enter the Earth Day Giveaway we are co-hosting!! You have until midnight Tuesday EDT. 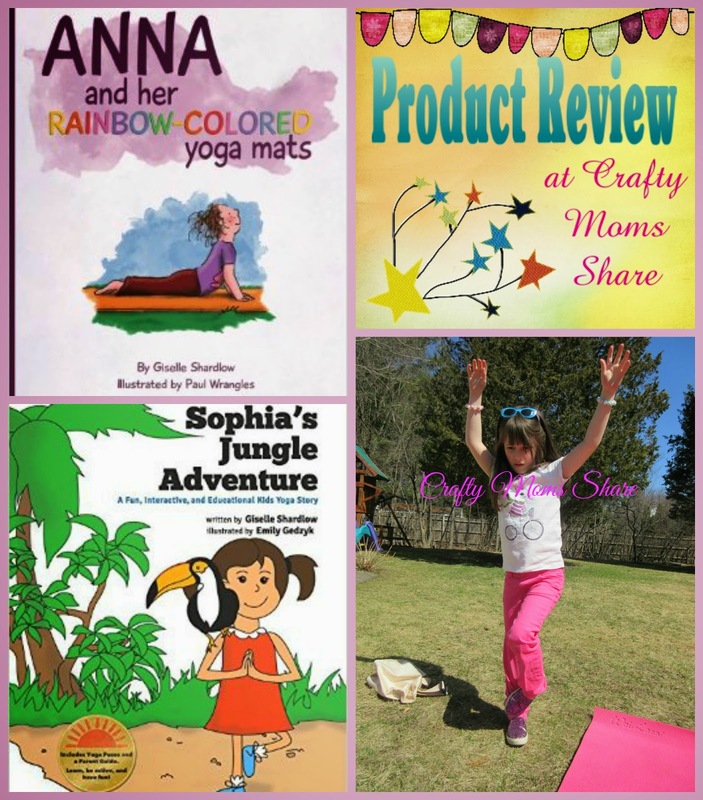 Disclosure: Kid Yoga Stories gave me a copies of these books free of charge to review. All opinions in my review are my own, and I did not receive any other compensation. As in all my reviews I am providing links for your ease, but receive no compensation. 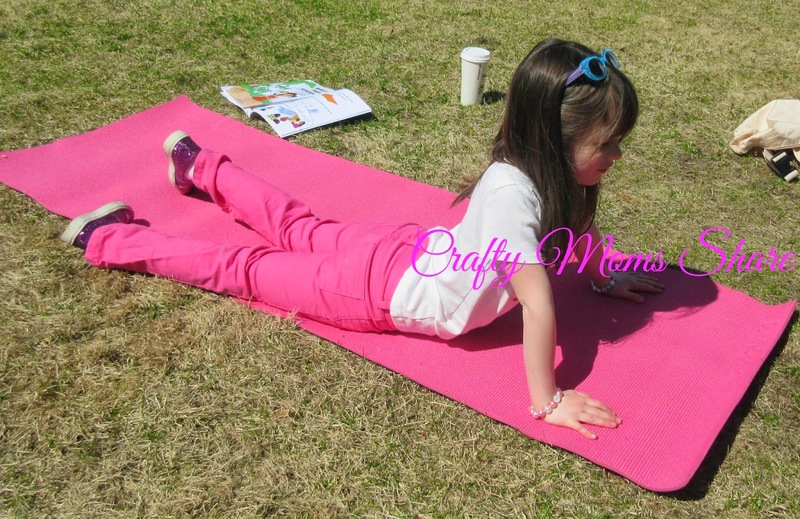 slithered like a snake with the snake pose. Hazel loved this book!! 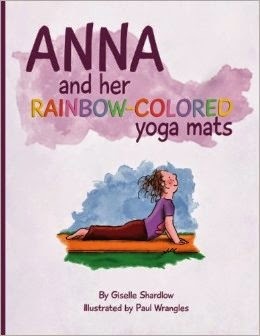 Between the rainbow mats and the story Hazel really enjoyed it. In fact when we started reading the second one she let me know she enjoyed this one. 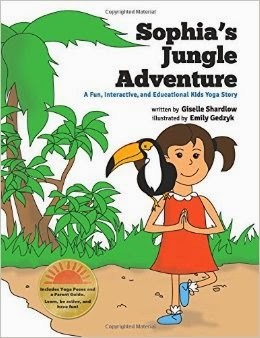 The second book is Sophia's Jungle Adventure by Giselle Shardlow and illustrated by Emily Gedzyk. This book tells the story of the adventure of Sophia and her family on their trip to Costa Rica. 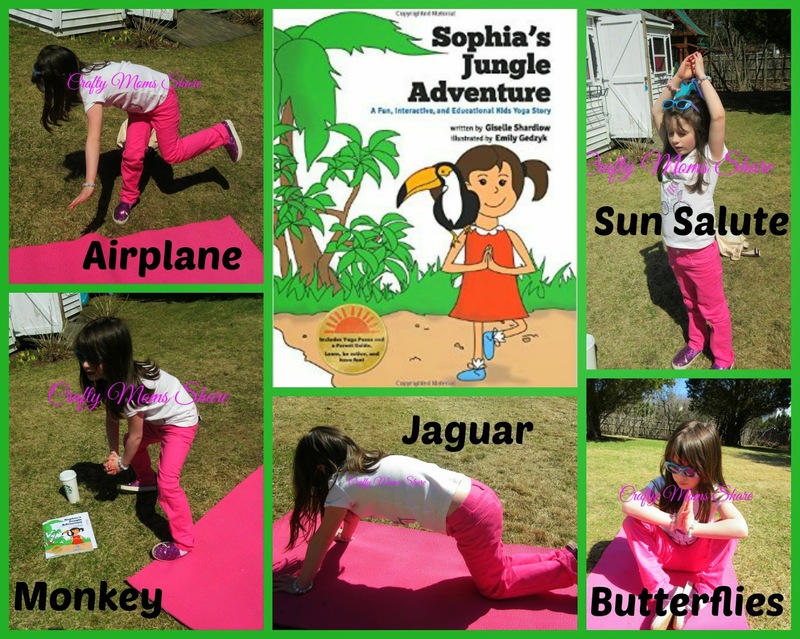 From the airplane trip to exploring the jungle, Sophia does a yoga pose to represent the various things they see, do and experience. 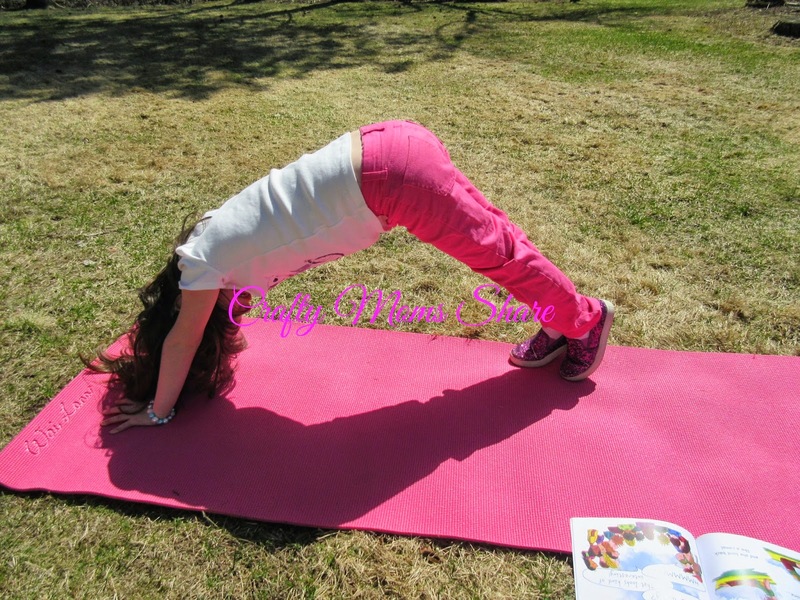 At the end of the book there is a list of the various poses in the book as well as a picture of the pose and the keyword it was used with. Hazel tried many of these poses out and loved them as well. 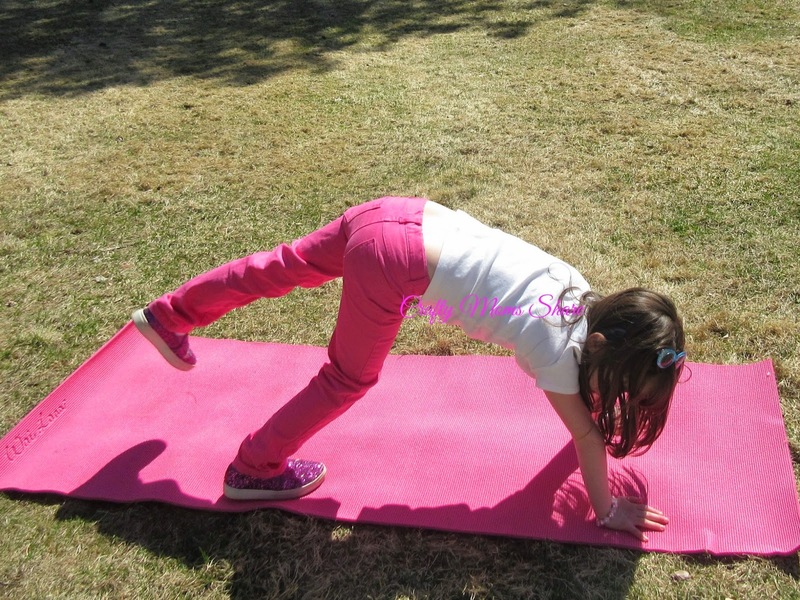 We did however discover that her clothes were not the best choice for doing yoga. 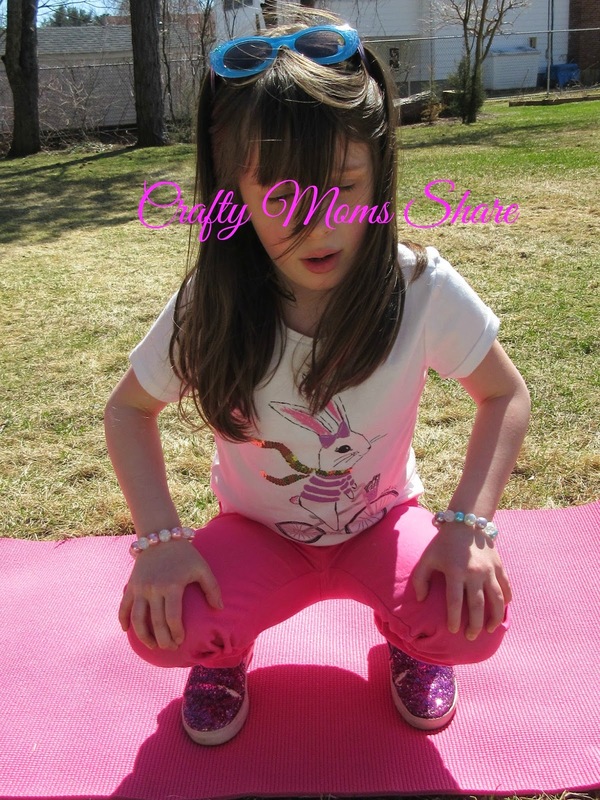 She had a lot of trouble squatting for the monkey. It is a wonderful way to look at the jungle of Costa Rica and give your children some movement during the story. 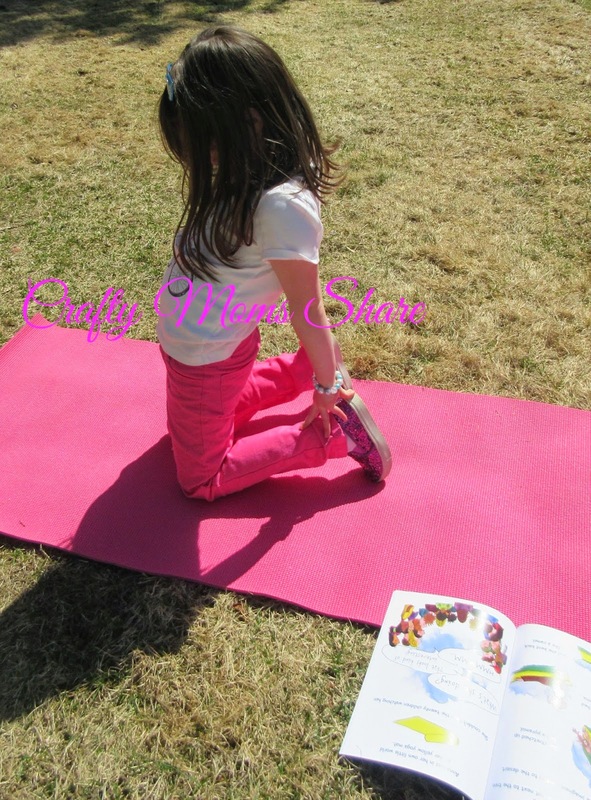 This fun book is one of the prizes for the Earth Day Giveaway. Giselle actually coordinated the giveaway. The giveaway is open for entries until midnight Tuesday EDT. I hope you will enter to win one of the three prize packs. It has a total of 22 items being given away from books, CDs and more.